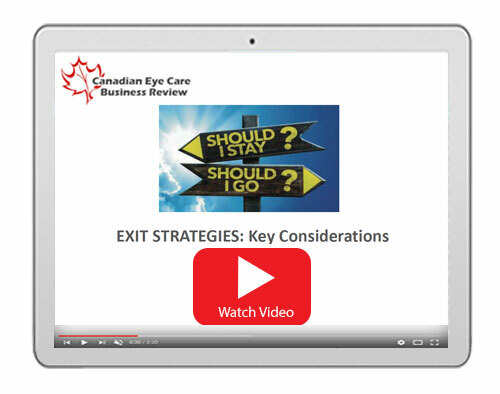 On Monday June 4th 2018 Canadian Eye Care Business Review hosted a panel discussion entitled: Should I Stay or Should I Go? Exit Strategy Considerations. Dr. Paul Gray – Director and President of the Member Relations Committee, Optometric Services Inc. 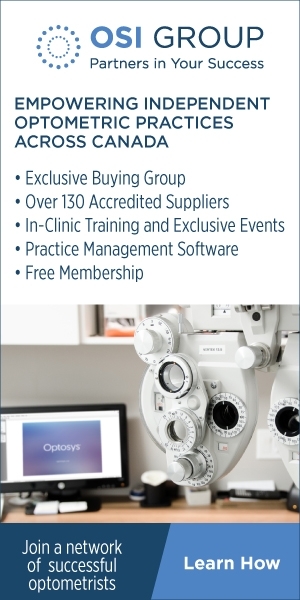 The webinar provide a comprehensive discussion of factors that indpendent optometric practice owners ought to consider as they approach the important decisions around exiting their practice. Topics covered include planning, use of a business broker, importance of assembling a trusted team of advisors, various valuation methods and the roller-coaster psychological aspects of a sale transaction. The countries two leading practice aggregators,IRIS and FYi doctors, provided the benefit of their perspectives as did the two leading independent OD networks, Optometric Services Inc. and EyeRecommend. The webinar is packed with solid practical tips and information: essential for any practice owner that has selling their practice even remotely on the horizon. You may watch the video slide show and audio above, or listen to the audio only from the links below. PreviousShould I Develop a Specialty Within Optometry?